Our car wash mobile app and website platform is the most comprehensive car wash marketing and sales platform available on the market today. We work with a wide range of wash equipment and have excellent partners in the industry. 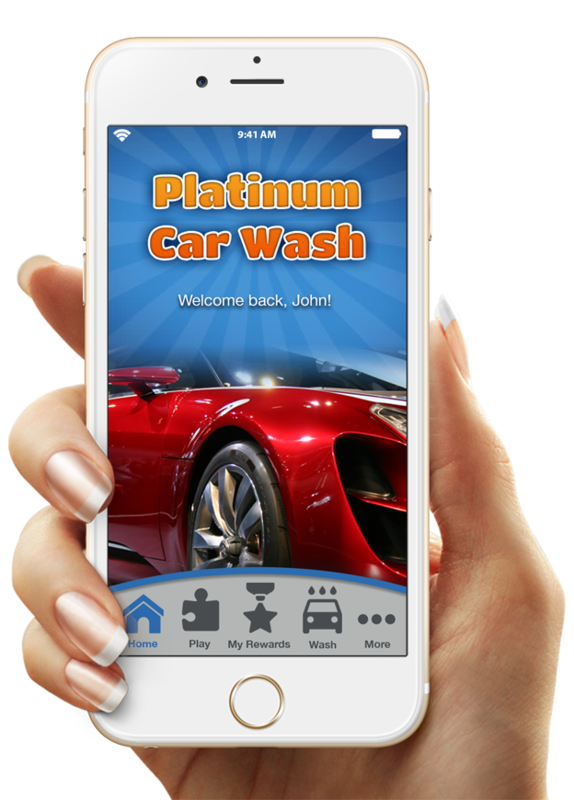 Launch an iOS and Android app branded to your car wash that delivers amazing results. Contact us today for a free demo. People love using mobile apps to save time and money, and this translates into more sales for your car wash. Your app will make you more accessible to your customers. From in-app loyalty programs to coupons to real-time push alerts and much more, a mobile app opens a powerful new communication channel with your customers. Mobile apps are the perfect tool for bringing in new leads to your wash. App download numbers continue to grow rapidly and you can tap into this source of consumers. Innovation is one of the keys to success in any business, and a mobile app will set your wash apart from your competition and promote your brand on a global platform. Smart Wash Club... The Future of Car Wash Memberships Beacon Mobile has invented a revolutionary way of managing wash club memberships that overcomes all of the shortcomings of modern day car wash membership technologies. 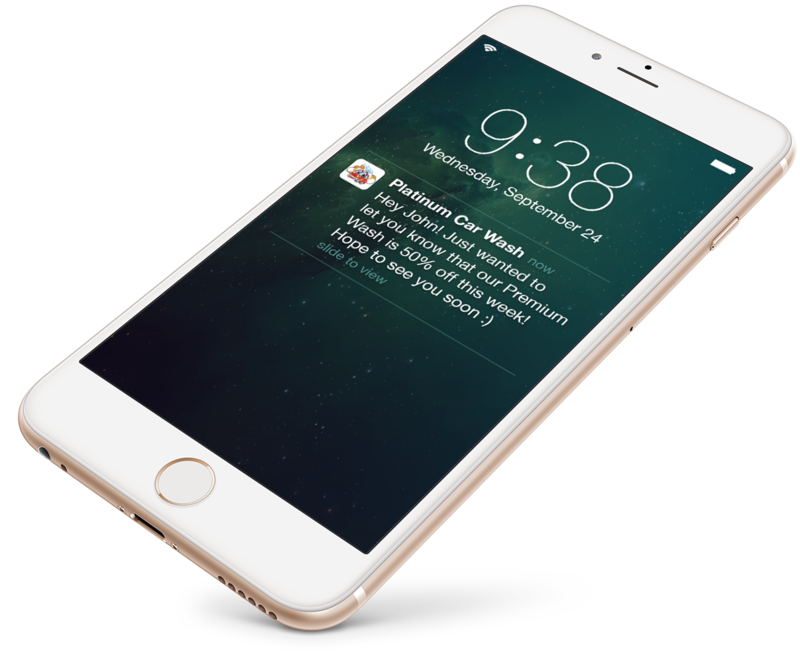 Custom, Native iOS and Android Apps for Your Car Wash Our comprehensive mobile app solution boasts an impressive collection of features that are built to drive engagement, retention, and deliver an incredible user experience. We are pioneers in the field of location-based marketing and our app solution gives you the analytics you need to make better business decisions. Boost Online Reviews and Much More! Our team has decades of experience in delivering stellar software applications to satisfied users. We've been building mobile apps since 2009, and we've partnered with car wash industry veterans with deep operational knowledge. You can count on us to get the job done right. Our app management platform was designed from the beginning to be intuitive and user-friendly. No coding knowledge whatsoever is needed to manage your app, and we handle the entire process of getting your apps published, reviewed, and approved by both Apple and Google. When you succeed, we succeed! Whether you have experience with mobile apps or are completely new to the game, we are here to guide you every step of the way. If you ever have a question or concern, just give us a call and we'll be there to help. We pride ourselves in delivering world-class apps at wholesale pricing. Why pay an app developer a massive sum up front, wait for months, and take on a lot of risk when you can have your app ready in days with a low risk, tested and refined solution at a fraction of the cost? Security is one of the core design principles of our platform and is something we take very seriously. All network traffic with your app is protected with the latest 256-bit SSL encryption, and we also leverage Amazon's secure cloud servers for high performance. When you build your app with us, you have top engineering talent continually working to improve your app platform and add new features to boost your business. This means better value for you and let's you focus on your business while we stay up to date with the latest app trends.